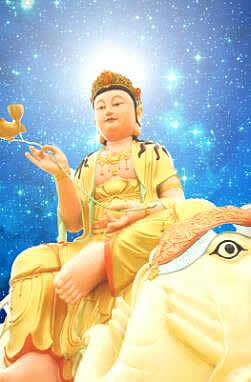 The Avatamsaka Sutra was spoken in the realm of humans and in the heavens. It is known as the "King of Kings" of all Buddhist texts. It elucidates the inconceivable state of the Buddhas and the conduct of Bodhisattvas. you will not know of the Buddha's true Blessings and Honor. 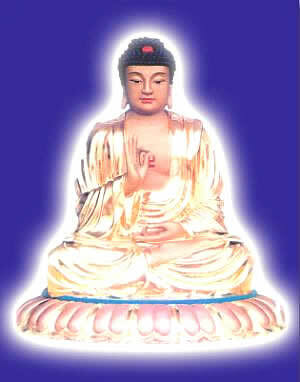 The Avatamsaka Sutra is the Buddha's greatest store of Treasures." The Great Means Expansive Buddha Flower Adornment Sutra!" "The Flower Adornment Sutra is the Sutra of the Dharma Realm and the Sutra of Empty Space. To the exhaustion of the Dharma Realm and empty space there is no place where the Flower Adornment Sutra is not present. Wherever the Flower Adornment Sutra is found, the Buddha is to be found, and also the Dharma and the Sangha of Worthy Sages. That is why when the Buddha accomplished Proper Enlightenment, he wished to speak the Great Flower Adornment Sutra to teach and transform the Great Knights of the Dharma Body. Since this Sutra was a Sutra of inconceivable wonder, it was then concealed within the Dragons' Palace for the Dragon King to protect. 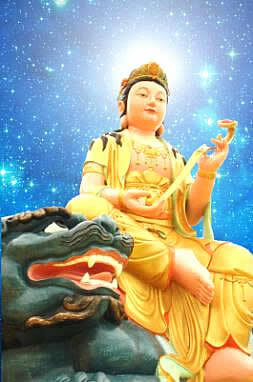 Afterwards, Nagarjuna—"Dragon Tree" Bodhisattva went to the Dragons' Palace, memorized it, and brought it back." National Master Ching Liang's Prologue to the Avatamsaka Sutra with Tripitaka Master Hsuan Hua's commentary.